Castor oil manufacturing is similar to that of other oil seeds and hence it can be manufactured by utilizing the existing equipments that are locally available. The castor seeds contain about 48 – 50% oil by weight. After extraction, the oil can be further processed to get a number of derivatives which can be used in various industrial applications. The average seed yields range from 900 – 1000 kg/ha under irrigation. India is the leading producer of castor seeds followed by China. Fuerst Day Lawson is pioneering in castor oil supply in Europe, with over 40 years’ experience buying directly from the producers of India, China and Brazil. 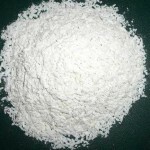 Castor oil, is not only as a lubricant, but also play a vital role in the polymer industry as it is gives polyamide-nylon 11. 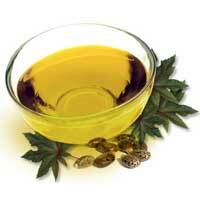 The global market for generation II castor oil derivatives is estimated at about $300 million. 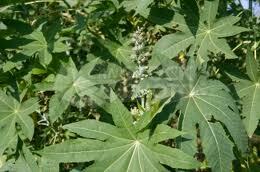 Some of the high yielding varieties of castor oil in India are NPH-1 (Aruna), GAUCH-4 and TMVCH. Etocas and Croduret (trade names) are vegetable-derived nonionic surfactants which find widespread use in agrochemicals as general emulsifiers and solubilisers. They are of particular value as biodegradable, sustainable alternatives to nonyl phenol ethoxylates. Etocas and Croduret , both marketed by Croda, are ethoxylated castor oil and ethoxylated hydrogenated castor oil respectively. Lower molar ethoxylates of castor oil are used as dispersing agents for oil based systems. They are generally considered to present no special hazards. However, as with other nonionic surface active agents of this type, they may be irritating to the eyes as supplied.